Jakarta, January 9th, 2012 – Aston International and PT. 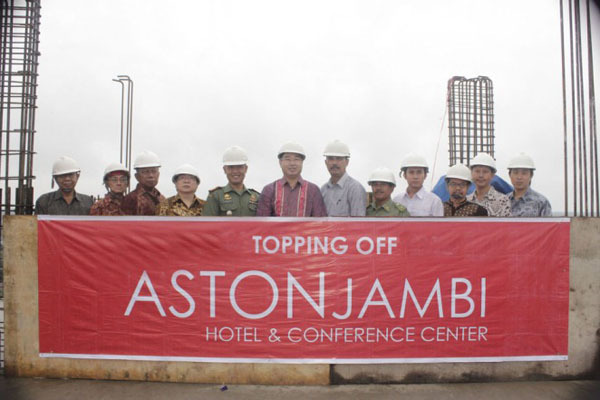 Sabang Raya Hotel celebrated the topping off of Jambi’s most ambitious new hotel development to date, the Aston Jambi Hotel & Conference Center. 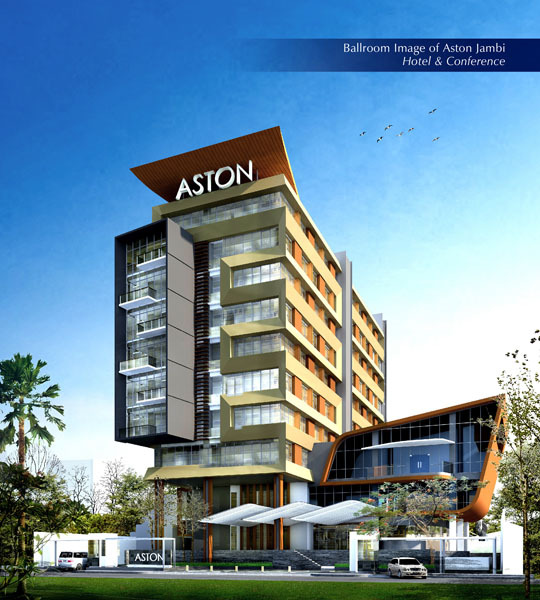 The Aston Jambi Hotel & Conference Center will be a modern and stylish 4-star business and conference hotel scheduled to open in June this year. Designed by Jakarta based PT. Bias Tekno Art Kreasindo the new hotel will bring previously unseen levels of contemporary chic to Jambi and offer 153 guest rooms and suites, an all day dining coffee shop, a music lounge with bar, terrace cafe, a well equipped fitness centre with swimming pool, a full service business centre and mid seized convention facilities with 6 modern and functional conference rooms. Jambi which was once the political and economical center of the Buddhist Srivijaya kingdom is the capital city of Jambi province on the island of Sumatra and today is a significant river port and one of Indonesia’s prominent palm oil and rubber producing centers. Seen in the images, Mr. Sukirman Djohan - Owner of Aston Jambi Hotel & Conference Center also as a President Director of PT. Sabang Raya Hotel (sixth from left) together with local government and the management of PT. Sabang Raya Hotel. Aston International is one of Indonesia’s leading hotel operators with an underlying portfolio of more than 60 hotels and around 12.000 rooms and a development pipeline exceeding 80 properties in Indonesia, the Philippines and Malaysia. Aston International managed Hotels operate under the hotel brands Grand Aston, Aston, Aston City, Alana, Harper, Quest, favehotels, NEO and Kamuela ranging from ultra luxurious private pool villas to serviced apartments and select service economy class hotels, thus offering Indonesia’s vastest and most comprehensive hotel network.